Are you ready to take the next step in your ComedySportz experience? Announcing the CSz Milwaukee Rec League, coming to you every other Thursday starting in March 2019! 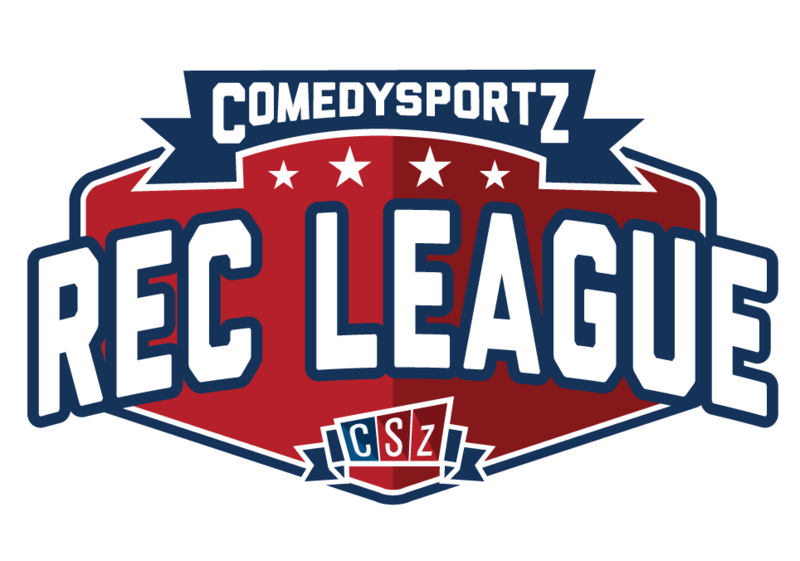 Form your own team and compete in ComedySportz matches against others as you battle for the claim of Rec League Champions! Matches will be every other Thursday, from 6:00pm to 9:30pm. Tickets will be available to the public, in addition to the bar and some food options also available; current Rec League participants will get free access to all of the shows! No previous experience with ComedySportz is required, however some improv training is required. With your first registration in Rec League, you will receive a one time $65 voucher for a discount for any workshop you wish to take here at CSz Milwaukee to either begin or continue your education. This voucher will be good for one year from issue date. A minimum of three people per team and a maximum of five people per team is allowed. Teams must be able to field at least three players for every match, and are not allowed to field more than four per match. Each participant will receive one red and one blue Rec League T-shirt. These will serve as your jerseys. If you choose to purchase additional shirts or lose the ones provided by your registration fee, you can purchase new ones at $15 per shirt. All participants are required to attend an Orientation before matches begin. There will be a public Orientation on Thursday, February 28, 2019 at 6pm, at CSz Milwaukee. Orientation by appointment is possible if you cannot make that date, please email Jake Shaw to schedule. Here you will be advised of details about the matches, including their format, and other information will be provided. In addition, each member of your team must meet with a panel to ensure they are aware of the family-friendly rules and standards of ComedySportz and CSz Milwaukee. If you are unable to attend the orientation, you must schedule a time slot during CSz business hours (Mon-Fri 10am-5pm) by emailing jakeshaw.jcs@gmail (a maximum of twenty minutes is needed to go over rules and standards). Here teams will meet and learn a couple games, in addition to obtaining the schedule and/or any further information as needed. Solo sign-ups are allowed, however you are not guaranteed a spot on a team. A full refund would be provided in the event we cannot place you on a team. There is a limit to one current CSz Milwaukee company member per team. Once your registration is received, you will be contacted by CSz to confirm your teammates and shirt size. There are no associated workshops with this program. A basic list of games will be provided to teams if requested, but most games will be learned and obtained through seeing the ComedySportz matches, attending the Kick Off and/or Open Improv jams, and taking the workshops. Orientation: February 28 (All registration is due at this time). Kick Off: March 14 (Teams will be finalized). Any questions and/or concerns, please contact Jake Shaw at jakeshaw.jcs@gmail, or (414) 272-8888. NOTE: Participation in the CSz Rec League is a NON-PAID, NON-PROFESSIONAL Recreational league. Participation is not employment with CSz Milwaukee.